The Inscriptiones Graecae (IG) is the oldest scientific project of the Berlin Brandenburgische Akademie der Wissenschaften.1 The IG was originally founded with the name Corpus Inscriptionum Graecarum (CIG) in the year 1815 under the direction of the philologist August Boeckh (1785-1867). Its research pertains to the collection and editio critica of Greek inscriptions, including the production of papersqueezes. The IG archives are indeed the largest papersqueeze archives in the world.2 The project of a corpus of alphabetic inscriptions of Cyprus3 has been recently reinitiated with the cooperation and support of the Department of Antiquities and the University of Cyprus. The Cyprus Corpus was inaugurated already at the beginning of 1900, but was never realized because of both the historical-political catastrophes and the massive diaspora of the Cyprus antiquities all over the world since the second half of 1800; Olivier Masson (1922-1997) dedicated a long part of his scientific life to the investigation of the diaspora. Therefore, the study of Cypriote epigraphy (as well as archaeology) requires preliminary research in the provenance of the objects - dispersed in foreign museums - private collections, and cultural foundations. Our epigraphical investigation begins with the first epigraphical collections. Until the second half of 1800 the interest for Cypriote antiquities in Europe was scarce, especially because of the distance of the island from the itineraries of travellers. The first systematic collection of Cypriote inscriptions appeared in Berlin in 1843 as part of the Corpus Inscriptionum Graecarum, CIG II 2613-2652. August Boeckh published there 40 alphabetic inscriptions known from travellers and scholars of 1700 and 1800, such as the abbots Giovanni Mariti and Domenico Sestini, the historian Ludovico Muratori, the merchant Paul Lucas, the clergymen Edmund Chishull and Richard Pococke, the explorer Carlo Vidua, and especially Joseph von Hammer-Purgstall (1774-1856), Austrian diplomat in Costantinople and orientalist. The bulk of the collection consisted of honorary decrees and dedications originating from Larnaca, Amathous, Nea Paphos, Salamis, a selection of documents of major importance. Although Boeckh did not consider autopsy to be the main criterion for his edition, he was supported in situ by the Count Albert von Sack, a traveller passionate about antiquities, and by the otherwise unknown Angelati, dragoman perhaps of the Prussian consul, who sent paperqueezes and transcriptions to Boeckh. Count Sack allowed those inscriptions to be transferred and donated to the Königliches Museum of Berlin (today in the Antikensammlung, Museum für Vor- und Früh-Geschichte). 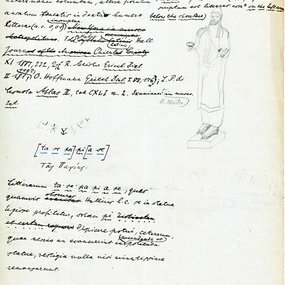 Shortly after the publication of Boeckh’s corpus, Ludwig Ross (1806-1859), curator of antiquities in Greece - that had been freshly freed from the Ottoman rulers - and professor of archaeology at the newly established University of Athens, travelled to Cyprus, and collected and published 17 new alphabetic inscriptions,4 mostly from Larnaca (ancient Kition) and the vicinity, where all the foreign embassies and “guest houses” were located. Ross was one of the most efficient associates of the Berlin Academy, to which he sent many squeezes and transcriptions [Fig 1]. In his article (see endnote 4) he expressed his disappointment for not having discovered any inscription earlier than Hellenistic on the island. Most of the Cypriote pre-Hellenistic inscriptions are indeed in syllabic script, which at Ross’s time had not been deciphered yet. At any rate, thanks to Ross’ intervention in Cyprus, the Königliches Museum of Berlin became interested in Cypriote archaeology and in 1845 purchased the first sensational object, the stele of the Assyrian king Sargon II,5 discovered in Larnaca in 1844. We know of this story from Robert Hamilton Lang (1832-1913), director of the Ottoman Bank and merchant of antiquities: “one discovered in a garden close to Larnaca the famous bas-relief that Sargon (II) had given as a present to the Cypriote kings in the 8th century BC. The British Museum did not want to pay more than 20 pounds; the Museum of Berlin was cleverer and purchased the monument for 50 pounds”.6 Ross, not differently than the other travellers, collected many antiquities, but, as usual at that time, did not publish a record of them. This was nothing though compared to what the subsequent “archaeologists” did. 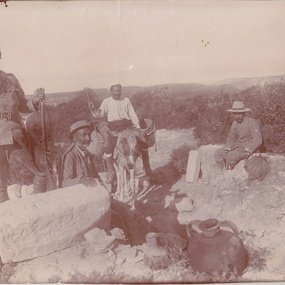 At the beginning of 1910, Ohnefalsch-Richter was informed by the Cypriote merchant Kleanthes Pierides of his illegal purchasing of several syllabic inscriptions originating from the Rantidi area, close to Old Paphos, and of the presence of many archaeological finds in the vicinity, that Pierides was removing with the intention to be sold. Ohnefalsch-Richter thus became convinced that in Rantidi was located the most ancient sanctuary of the Paphian Aphrodite of Homeric memory.17 As Ohnefalsch was already in contact with Richard Meister for epigraphical consultations, Meister confirmed his theory, believing to have read the name of the goddess18 on Ohnefalsch’s squeezes and transcriptions of the syllabic inscriptions. Thus, Ohnefalsch-Richter quickly informed the heads of the Academy of Berlin of his sensational discovery and requested the financing of a campaign, emphasizing the scientific profit regarding the corpus of Cyprus. 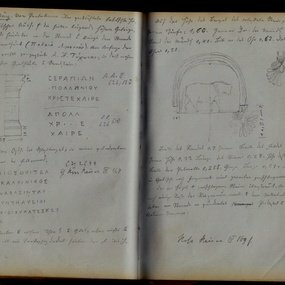 But on the 21 March 1910 Ohnefalsch-Richter was discovered in flagranti exporting an ancient object and thus he was denied permission for research or excavation. 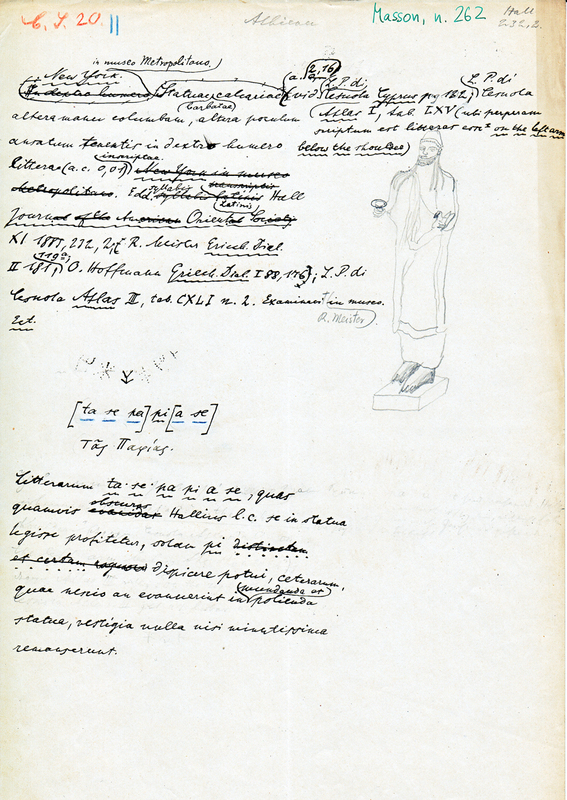 At any rate, the letters he sent to various institutions and scholars in Berlin, announcing the discovery of the old sanctuary of the Paphian Aphrodite and of many inscriptions to be included in the Cyprus corpus, drew the interest of the Academy: in June 1910 the “Cypern-Kommission”, composed of Kekulé von Stradonitz, Eduard Meyer and Wilamowitz self, sent to the British authorities a request for permission to organize a short campaign, which was agreed on for the end of August. In contrast to what Ohnefalsch-Richter had planned, the Cypern-Kommission nominated as director of excavations the archaeologist Robert Zahn (1870-1945), Kustos (curator) at the Königliches Museum of Berlin. The Academy left Ohnefalsch-Richter’s hiring as Hilfskraft (Assistant) to Zahn’s discretion, questioning this way his scientific seriousness. This infuriated Ohnefalsch-Richter, who considered himself to be the only expert in the Rantidi site. His letters to Meister, to the Academy and to Zahn denoted an escalation of the polemics; the Academy and Zahn finally compromised due to Ohnefalsch-Richter’s obstinacy and hired him in a subordinate position, yet he was followed by the police during the whole campaign [Fig. 2]. During the years of the political division of Germany, the Academy was located in East Berlin and its researchers were not easily allowed to travel; therefore their work depended principally on foreign cooperations. A new project of a corpus for the Inscriptiones Graecae was presented by Mitford at the Second International Congress of Greek and Latin epigraphy, held in Paris in 1952.26 This work was supposed to include in 7 fascicles, all the Greek - both syllabic and alphabetic -, the Latin, Assyrian and Phoenician inscriptions of Cyprus. Mitford’s audacious plan was never realised. Besides Mitford, other scholars dedicated their life to Cypriote epigraphy too: Ino Nicolaou had been publishing yearly since 1963 the new alphabetic inscriptions in the Report of the Department of Antiquities Cyprus; the often mentioned Olivier Masson also founded in 1983 the Centre d’Etudes Chypriotes and the journal Cahiers du Centre d’Etudes Chypriotes directed now by Antoine Hermary. Furthermore, it is worth mentioning here that many catalogues of Cypriote collections kept in foreign museums appeared thanks to Vassos Karageorghis’ initiative27. After the fall of the Berlin Wall, active research restarted at the Academy of Berlin and recently the project for a corpus of Cyprus has been reinitiated with a structural change: the separation of syllabic and alphabetic inscriptions in two different corpus-projects, of which Markus Egetmeyer, Artemis Karnava, Massimo Perna, Maria Kantirea, and myself are in charge. As a sad irony of history, the political context of our research has also changed in the meantime, as everybody knows: while Germany has been reunified since 1989, Cyprus has been politically divided since 1974. This of course also causes some difficulties regarding the localisation of the material on the island. Until the present day we have localised and studied the alphabetic inscriptions kept both in foreign museums, such as the Metropolitan Museum, the British Museum, the Louvre, the Cabinet des Medailles, the Antikensammlung in Berlin, the Fitzwilliam Museum of Cambridge, and in the Cypriote museums of Larnaca, Nicosia, the Museum of George and Nefeli Giabra Pierides Collection Museum (Nicosia), and the Pierides Musem (Larnaca). To the circa 300 squeezes realized by Richard Meister, our first 500 have been added in the IG archives. In such ambitious works, which depend on synergies and historical-political factors, history teaches us not to formulate promises, but proceede our work with enthusiasm and cooperation so that we can realise the corpus of the Cypriote alphabetic inscriptions without letting another century pass. Fig. 2: Rantidi campaign. From left policeman, M. Ohnefalsch-Richter, in background a worker, R. Zahn. Fig. 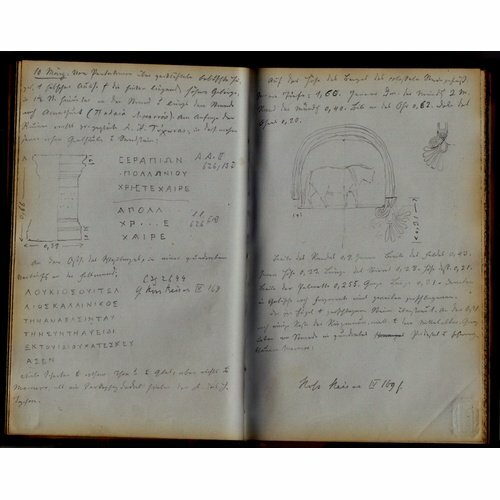 3: Meister' notebook of the Metropolitan Museum of Art. Fig. 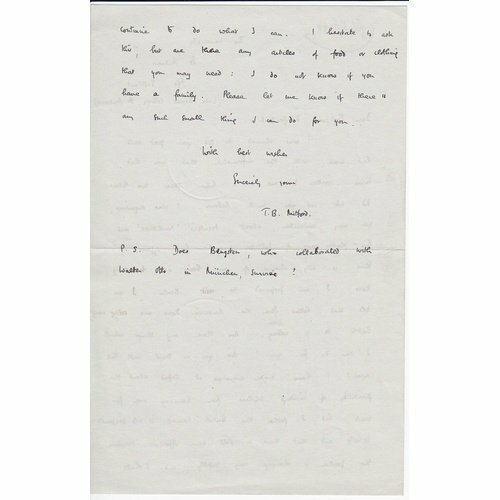 4: Mitford's letter (side a). Fig. 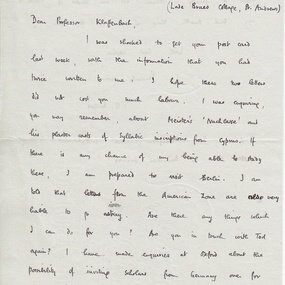 5: Mitford's letter (side b). 1 A longer study on the Cyprus Project within the History of the Inscriptiones Graecae including detailed bibliography has appeared in Fornaro, Summa 2013, 83-106. 2 On IG see http://ig.bbaw.de; on its history recently Rebenich 2014. 3 On the syllabic corpus see Perna 2015 (Kyprios Character). 4 Ross 1850; cf. Mehl 2009, 170-171. 6 Balandier 2001, 4; cf. Lang 1878, 52. 7 Merillees 2001; on the diplomats of Cyprus O. Masson 1992, with further bibliography. On Cesnola see Marangou 2000; Rogge 2007. 8 See Friederichs 1872, 31-50; Brehme et al. 2001, 11. 9 Colonna-Ceccaldi 1874-1875. Cf. Masson 1992, 125-138. 10 On the Cesnola Collection in Metropolitan Museum of Art see recently Hermary, Mertens 2014. 12 On the history of the deciphering of Cypriote syllabic script, Masson 1983, 30-33; Egetmeyer 2010, 1-4. Among the main contributions of the Lipsian scholars to the Cypriote epigraphy, besides the mentioned Sammlung, are Deecke, Siegismund 1875; Voigt 1878. On Siegismund, Masson 1987; Balandier 2001, 6. 13 Cesnola 1877, 301-337; cf. Masson 1984a and 1984b. 14 See Buchholz 1989, 8-10; Masson, besides the already mentioned studies, see also 1984c, 77-83; Marangou 2000, 62-83 and 261-272. 15 See Brönner 2001; Matthäus 2009, with further bibliography. 16 This documentation is kept in the archives of the Berlin Academy. On Meister, see Neumann 2004; Schmitt, Brugmann, 2009, 69 and 74-76. 17 Hom. Od. VIII, 363, on its archaeological remains cf. Maier 1975, 77-79. 18 Meister 1910, 243. On the Rantidi campaign of 1910 see Masson 1985, 21-23; Buchholz 1989, 20; †Mitford, Masson 1983, 2-18; Funke 2013. The correspondance Ohnefalsch, Meister, Wilamowitz, Meyer on the campaign is kept in the archives of the IG and of the Antikensammlung Berlin. 19 Masson 1983, 123; Mitford, Masson 1983, 1-13. 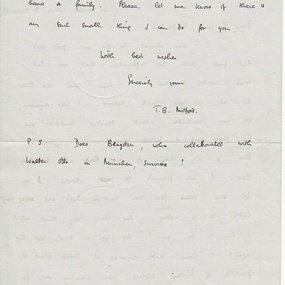 21 Letter to the director of the Antikensammlung Theodor Wiegand 4.11.1910, s. F.G. Maier in Mitford, Masson 1983, 12-18. 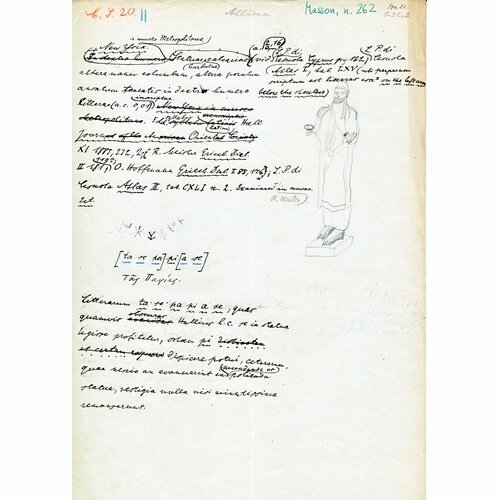 22 My thanks are due to Sylvia Brehme for authorization to study Ohnefalsch-Richter’s archives. 23 Cf. Klaffenbach 1953; Schwyzer 1923, 328; Mitford 1971, 11. 24 Mitford 1958; see also their reports in Mitford, Masson 1983, 3-18. 27 Karageorghis 2015 (Kyprios Character). Balandier, C. 2001: “Cyprus, a New Archaeological Frontier in the XIXth Century”, in V. Tatton-Brown (ed. ), Cyprus in the Nineteenth Century: Fact, Fancy and Fiction, Papers of the 22nd British Museum Classical Colloquium, December 1998, Oxford, 3-12. Brehme, S. et al. 2001: Ancient Cypriote Art in Berlin. Antikensammlung, Museum für Vor- und Frühgeschichte, Münzkabinett, Nicosia. Brönner, M. 2001: “The Ohnefalsch-Richter Collection in the Museum für Vor- und Frühgeschichte, Berlin, in Brehme S., Brönner, M., Karageorghis, V., Platz-Horster, G., Weisser, B. (eds. ), Ancient Cypriote Art in Berlin. Antikensammlung, Museum für Vor- und Frühgeschichte, Münzkabinett. A.G. Leventis Foundation und Staatliche Museen zu Berlin, Nicosia, 15-26. Buchholz, H.-G. 1989: “M. Ohnefalsch-Richter als Archäologe auf Zypern”, CCEC 11-12, 3-27. Cesnola, L., Palma di, 1877: Cyprus, Its Ancient Cities, Tombs, and Temples: A Narrative of Researches and Excavations during Ten Years‘ Residence as American Consul in that Island, New York. Chishull, E. 1728: Antiquitates Asiaticae Christianam aeram antecedentes, London. Colonna-Ceccaldi, G. 1874-1875: Rev. Arch. 27, 79-95 and 29, 95-101 (= Monuments antiques de Chypre, de Syrie et d’Égypte, Paris 1882). Deecke, W., 1884: "Die griechisch-kyprischen Inschriften", in Bauer, A., Collitz, H. (Eds. ), Sammlung der griechischen Dialekt-Inschriften, I, Göttingen, 1-89. Deecke, W., Siegismund, J. 1875: “Die wichtigsten kyprischen Inschriften”, Studien zur griech. und latein. Grammatik 7, 217-264. Egetmeyer, M. 2010: Le dialecte grec ancien de Chypre, Berlin-New York. Fornaro, S., Summa, D. (eds.) 2013: Eidolon, Saggi sulla tradizione classica, Bari. Friederichs 1872: Friederichs, C., Kunst und Leben, Reisebriefe aus Griechenland, dem Orient und Italien, Düsseldorf. Funke 2013: Funke, P., “Looking for Cypriot inscriptions”, in D. Michaelides (ed. ), Epigraphy, Numismatics, Prosopography and History of Ancient Cyprus. Papers in Honour of Ino Nicolaou, Uppsala, 119-128. Hammer-Purgstall 1811: Hammer-Purgstall, J., von, Topographische Ansichten gesammelt auf einer Reise in die Levante, Wien. Hermary, Mertens 2014: Hermary, A., Mertens, J. R, The Cesnola Collection of Cypriot Art: Stone Sculpture, New Haven/London. Klaffenbach, G. 1953: “Inscriptiones Graecae”, in Actes du deuxième Congrès international d’épigraphie grecque et latine, 1952, Paris, 21-32. Lang, R. H. 1878 Cyprus: Its History, Its Present Resources, and Future Prospects, London. Lucas, P. 1712: Voyage du Sieur Paul Lucas dans la Grèce, l’Asie mineure, la Macedoine et l’Afrique, Paris. Maier, F. G. 1975: “The temple of Aphrodite at Old Paphos”, in RDAC, 69-80. Marangou A.G. 2000: The Consul Luigi Palma Di Cesnola 1832-1904: Life and Deeds, Nicosia. Mariti, G. 1769: Viaggi per l’isola di Cipro e per la Soria e Palestina fatti da Giovanni Mariti fiorentino dall‘anno 1760 al 1768, Lucca. Masson, O. 1983: Les Inscriptions Chypriotes syllabiques (ICS), Paris. Masson, O. 1984a: “Cesnola et le trésor de Curium I”, CCEC 1, 16-25. Masson, O. 1984b: “Cesnola et le trésor de Curium II”, CCEC 2, 3-14. Masson, O. 1984c: “Kypriaka”, BCH 108, 71-89. Masson, O. 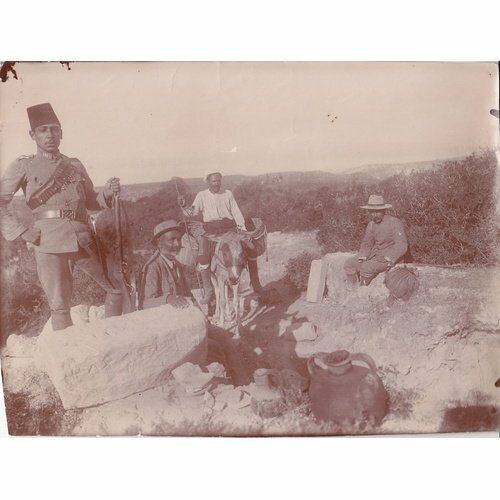 1985: Masson, O., “Les visites de M. Ohnefalsch-Richter à Kouklia, 1890 et 1910”, CCEC 3, 19-28. Masson, O. 1986: Masson, O., “Domenico Sestini à Larnaca en 1782 et quatre inscriptions de Chypre”, CCEC 6, 3-10. Masson, O. 1987: “Sur le site d’Amathonte en 1876: J. Siegismund et J. P. Vondiziano”, CCEC 7, 11-15. Masson, O. 1992: “Diplomates et amateurs d’antiquités à Chypre vers 1866-1878”, Journal des Savants 1, 123-154. Matthäus, H. 2009: Max Ohnefalsch-Richter und die Anfänge wissenschaftlicher Archäologie auf der Insel Zypern, in S. Rogge (ed. ), Zypern und der Vordere Orient im 19. Jahrhundert – Die Levante im Fokus von Politik und Wissenschaft der europäischen Staaten, Symposium, Münster 2006, Münster, 115-151. Mehl, A. 2009, “Der Archäologe L. Ross 1845 in Zypern auf den Spuren der Antike”, in S. Rogge (ed. ), Zypern und der Vordere Orient im 19. Jahrhundert – Die Levante im Fokus von Politik und Wissenschaft der europäischen Staaten, Symposium, Münster 2006, Münster, 153-187. Meister, R. 1910: “Kyprische Inschriften”, Ber. Kön. Sächs. Gesell. Wiss. Leipzig 62, 231-247. Meister, R. 1911: “Inschriften aus Rantidi in Kypros”, in Sitzungsberichte Königl. Preuss. Akad. der Wiss. 28, 630-650). Merillees R.S. 2001: “T.B. Sandwith and the Beginnings of the Cypriot Archaeology”, in Tatton-Brown, V. (ed. ), Cyprus in the Nineteenth Century: Fact, Fancy and Fiction, Papers of the 22nd British Museum Classical Colloquium 1998, Oxford, 222-235. Mitford T.B. 1953: “The status of Cypriot epigraphy”, in Robert, L. (ed. ), Actes du deuxième Congrès international d’épigraphie grecque et latine, 1952, Paris, 166-175. 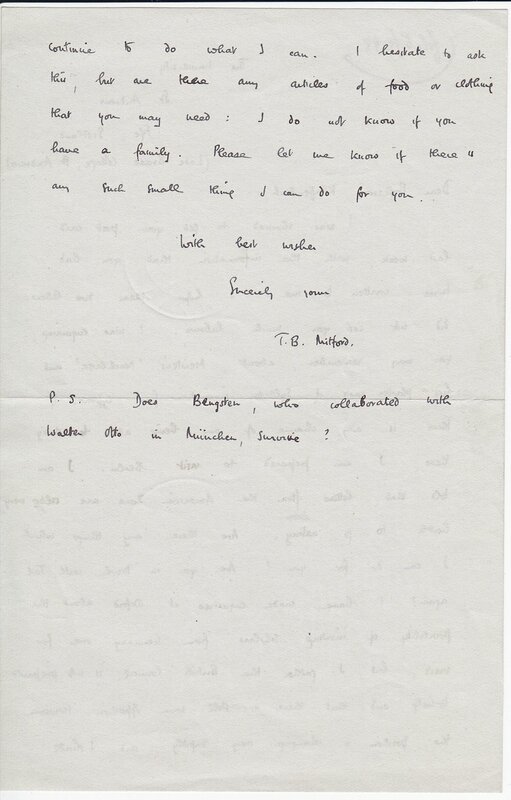 Mitford, T.B. 1958: “Prolegomena to the syllabic inscriptions of Rantidi”, Emerita 26, 111-127. Mitford, T.B. 1971: The Inscriptions of Kourion, Philadelphia. Mitford, T.B., Masson, O. 1983: The Syllabic Inscriptions of Rantidi-Paphos, Mainz. Muratori, L.A. 1742: Novus thesaurus veterum inscriptionum, Mediolani. Neumann, G. 2004: “Beiträge zum Kyprischen XXI. Für Vassos Karageorghis in Bewunderung seines wissenschaftlichen Lebenswerks”, Kadmos 42, 109-130. Pococke, R. 1752: Inscriptionum Antiquarum Graec. et Latin. Liber, London. Rebenich, S. 2014: “Berlin und die antike Epigraphik”, in W. Eck, P. Funke (eds.) Öffentlichkeit – Monument – Text. XIV Congressus Internationalis Epigraphiae Graecae et Latinae, Berlin, 7-75. Rogge, S. 2007: “Raubgräber oder Forscher? Archäologische Aktivitäten auf Zypern im 19. Jahrhundert”, in S. Rogge. (ed. ), Begegnungen. Materielle Kulturen auf Zypern bis in die römische Zeit, Tagung, Hamburg 2005, Münster, 197-230. Ross, L. 1850: “Inschriften von Cypern”, Rhein. Mus. 7, 512-524 (= Archäologische Aufsätze, Leipzig 1861, 618-632). Schmitt, Brugmann, R. 2009: Aus Karl Brugmanns Jugenderinnerungen (Österreichische Akademie der Wissenschaften 49), Wien. Sestini, G. 1786: Viaggio da Costantinopoli a Bassora fatto dall’abate Domenico Sestini accademico etrusco, Yverdun. Schwyzer, E., 1923: Dialectorum Graecarum exempla epigraphica potiora (DGE), Leipzig. Vidua, C., 1826: Inscriptiones antiquae in Turcico itinere collectae, Paris. Voigt, J. 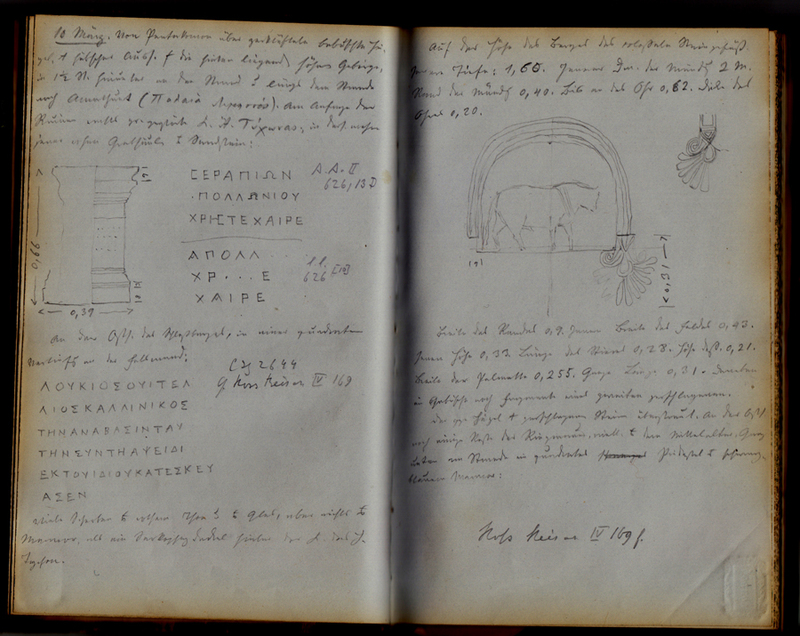 1878: “Quaestionum de titulis Cypriis particula”, Leipziger Studien zur Classischen Philologie 1, 253-302. Yon, M. 1995: “La stèle de Sargon II à Chypre”, in A. Caubet (ed. ), Khorsabad, le palais de Sargon II roi d’Assyrie, Actes du colloque organisé au musée du Louvre, 1994, Paris, 161-168. Yon, M. 2004: Kition dans les textes, Testimonia littéraires et épigraphiques et Corpus des inscriptions. Kition-Bamboula V, Paris. Fig. 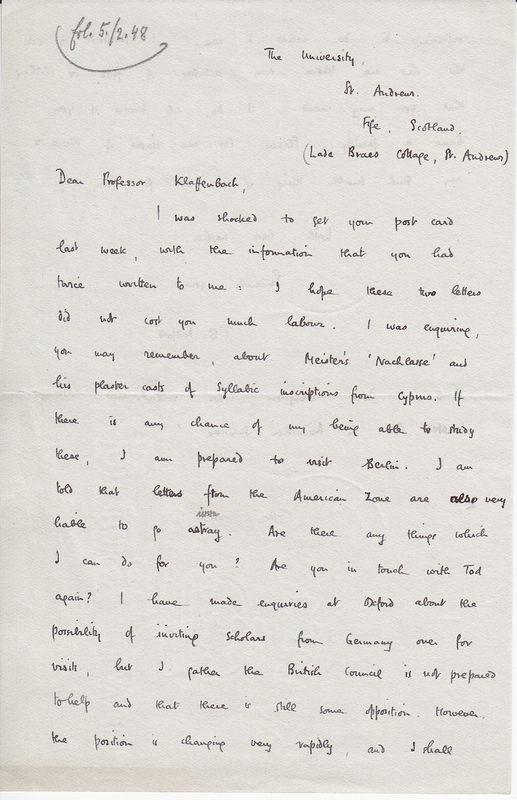 4: Mitford's letter (a). Fig. 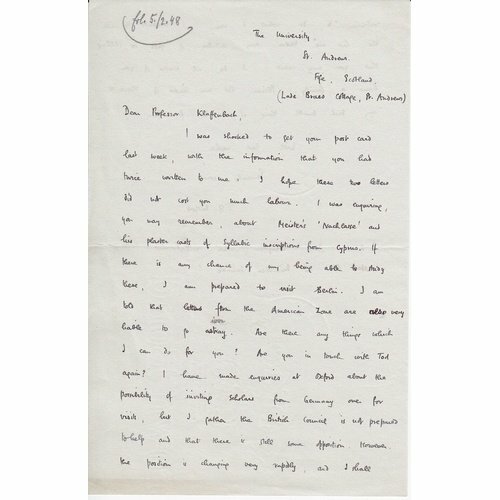 5: Mitford's letter (b).